DEDHAM, Mass. (Legal Newsline) - A Massachusetts heating contractor has been sentenced to jail after pleading guilty to illegally removing asbestos from a single-family home and intimidating witnesses when he suspected charges were coming. Nicholas Pasquantonio pleaded guilty Monday in Norfolk Superior Court to two counts of violating the Massachusetts Clean Air Act and one count of witness intimidation. Pasquantonio was charged for failing to follow proper procedure for asbestos removal and failing to file a notice of asbestos removal with the Massachusetts Department of Environment Protection. Judge Thomas Connors sentenced him to one year imprisonment in the House of Corrections and a $2,500 fine. He also was ordered to have no contact with the victims in the case. 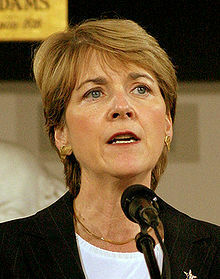 Massachusetts Attorney General Martha Coakley issued a press release addressing the severity of improper asbestos removal. "This defendant put the public's safety at risk by violating the guidelines for reporting and removing asbestos, an extremely hazardous toxin," Coakley said. "Further, this defendant attempted to tamper with the integrity of our criminal justice system by intimidating potential witnesses." Pasquantonio was hired to replace the boiler in the Medway rental property occupied by a family with several children in December 2010. He was not a licensed asbestos contractor, but agreed to the work even though he knew it involved asbestos. Pasquantonio failed to follow the required safety procedures when removing asbestos insulation from the pipes surrounding the heating system. He failed to notify the Medway Board of Health of possible unlawful asbestos abatement, and he also failed to notify Massachusetts Department of Environment Protection that he would be disturbing asbestos. The Massachusetts Department of Environment Protection inspected the work site and found improper removal and release of the toxic substances. "Plumbing and heating contractors are well aware that asbestos must be properly removed by trained and licensed asbestos contractors. Improper asbestos removal work that exposes workers, tenants and the general public to a known carcinogen is unacceptable and will not be tolerated," said Kenneth Kimmell, Massachusetts Department of Environment Protection Commissioner. Pasquantonio became suspicious of possible criminal charges and returned to the property to intimidate two potential witnesses not to testify against him. A Norfolk County Grand Jury indicted him in January 2012. He was arraigned in the Superior Court in March 2012. The investigation into Pasquantonio's actions and inactions was handled by the Massachusetts Environmental Strike Force, which is an interagency team of investigators, engineers and offers organized to "investigate and prosecute crimes that harm or threaten the state's water, air or land and the pose a significant threat to human health." The case was handled by Assistant Attorney General Daniel Licata, with help from Assistant Attorney General Andrew Rainer, chief of Coakley's Environmental Crimes Strike Force, officers of the Massachusetts Environmental Police and Gregory Levins of the Central Regional Office of the Massachusetts Department of Environment Protection.